#ArtfulEpcot is underway at Epcot! 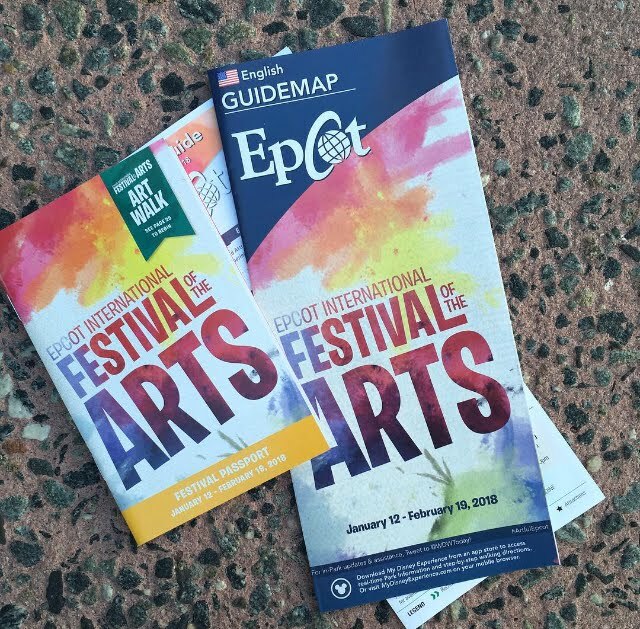 The Epcot International Festival of the Arts opened this weekend at Walt Disney World's Epcot Park. Hubby and I went by for a few hours today to check it out. We love Figment and are happy to see him front and center. Grab your festival guide and passport at the park entrance! There is a special Alex and Ani bracelet for the festival, available only at Epcot. I spotted it in Mouse Gears. There is also a special edition Tervis Tumbler for the festival (as well as tee shirts, hats, a wine glass, and a shot glass). Our first stop was in the Festival Center. We tried the "Pop Art" cookie. It is designed to look like a Pop-Tart but is more of a sugar cookie with strawberry filling. The Figment white chocolate puzzle was yummy too. (Notice the dipping chocolates in Figment colors!). We also enjoyed the North Coast Brewing Co. Scrimshaw Pilsner Style in the Odyssey Festival Center; and the Bell's Tow Hearted America-style India Pale Ale from the Cuisine Classique near Germany (similar to a Sam Adams, says hubby). 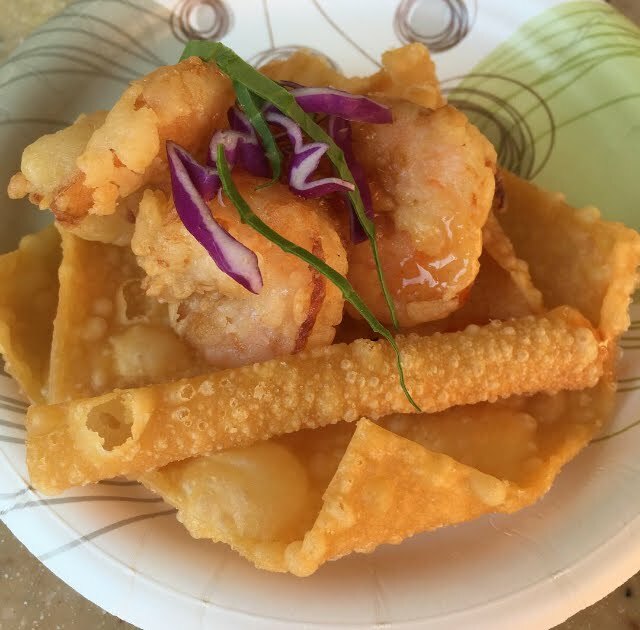 As with all festivals at Epcot, special food and drinks are available. I loved the Fried Shrimp in Lotus Flower Shell near the China Pavilion. I was given three fried shrimp, which were drizzled in a sweet chili sauce. It was a delicious combination and I want to have this snack again! 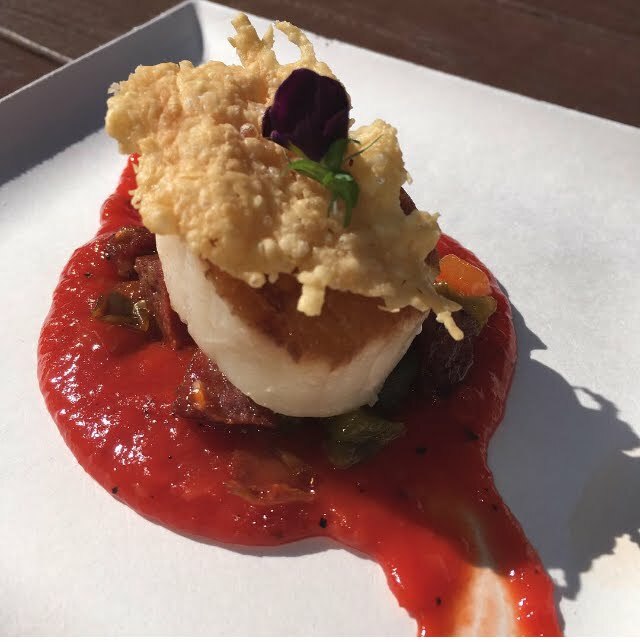 In America, we tried the Scallop on Parmesan Crisp with a Red Pepper Coulis. I was surprised to find sausage in the sauce, but it was a tasty hearty sausage. Hubby loved the sauce, but I thought it was a bit over-powering. Otherwise the scallop was cooked perfect. Living Statues, Performances, Chalk Art and more! Take your time, enjoy the sights and sounds of the day. I definitely need to go back to see more.